Nancy received her master’s degree before social work classes explored the issues facing lesbian, gay, bisexual and transgender (LGBT) youth. Taking a roundabout path to working in the LGBT field, Nancy worked for several years in the HIV/AIDS field and shifted to her work with LGBT youth in 1998 as the executive director of a small, grassroots agency. She is a sought after public speaker on topics such as LGBT Youth and Adolescent Development and Current Trends in Working with LGBT Youth. 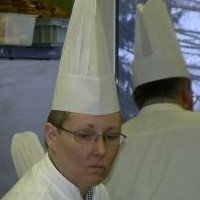 Equally passionate about her avocation, Nancy is a mere ten credits away from her associate’s degree in Pastry Arts. Never one to do things the easy way, she thought it very important to pursue her master’s degree first so she could later get her associate’s degree in something completely unrelated to what she does for a living. The Urban Tidepool blog is the intersection of a career in human services, a chance to dabble in the culinary world and the experience of writing a first book. Sometimes she even remembers to take off her chef’s hat when she sits down to write. Love it and sign me up to get ur added entries !